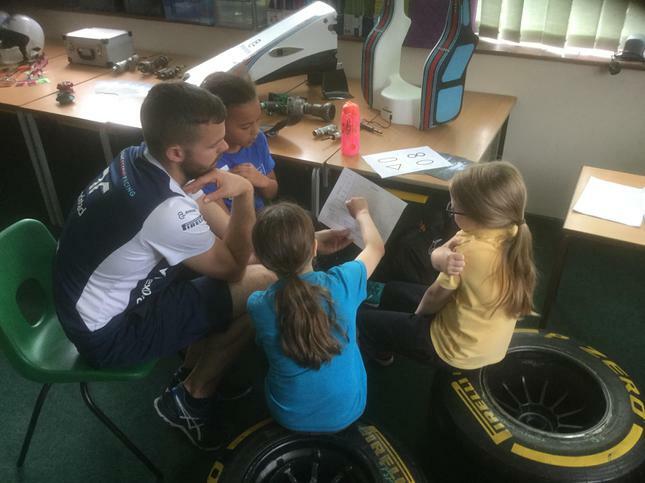 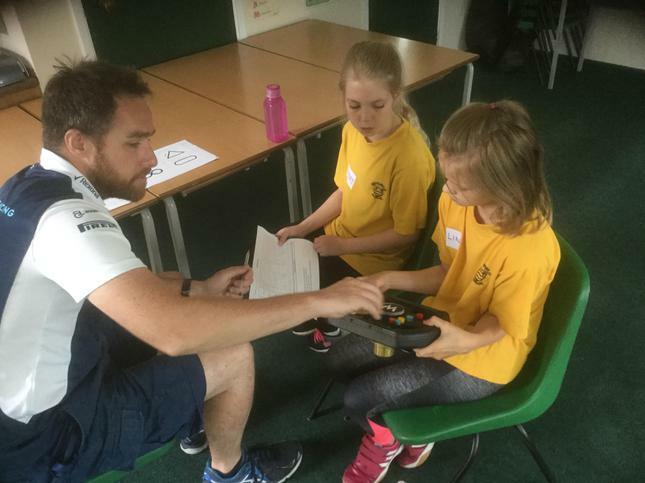 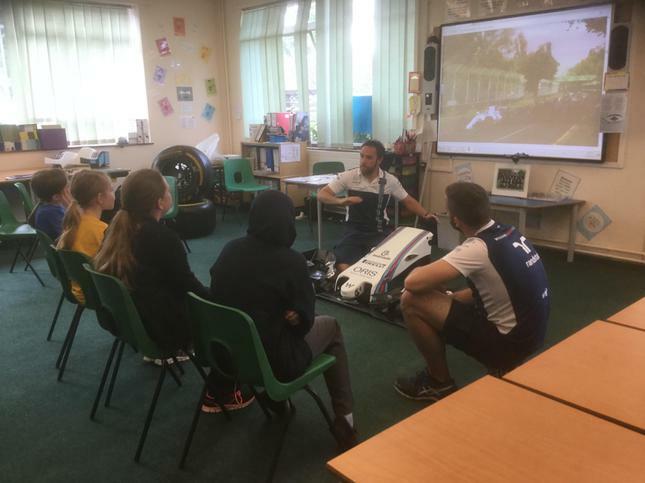 We were really lucky to have Jack and Jamie, two engineers who work for Williams F1, spend the whole day with us. 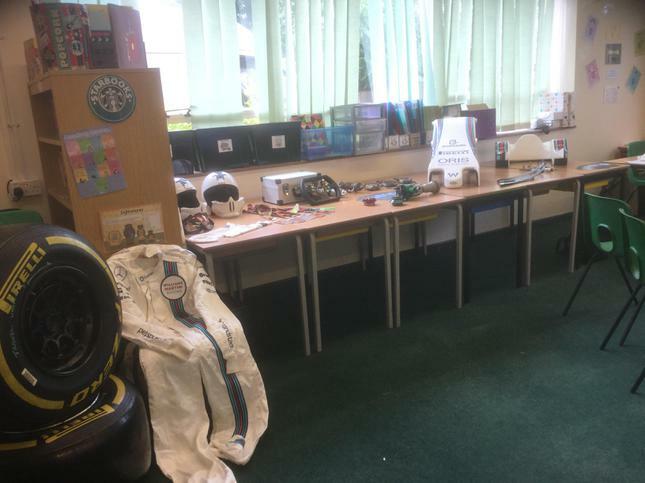 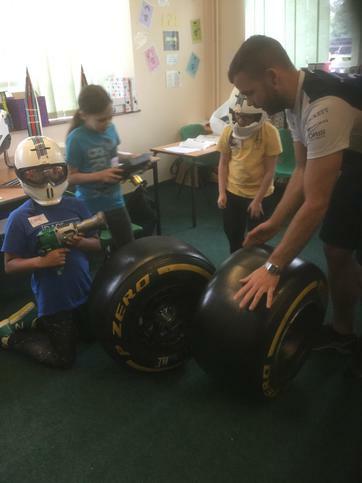 They showed us parts of a real F1 car that they work with and we could try on their gloves and helmets and look at a real pit stop gun and some tyres. 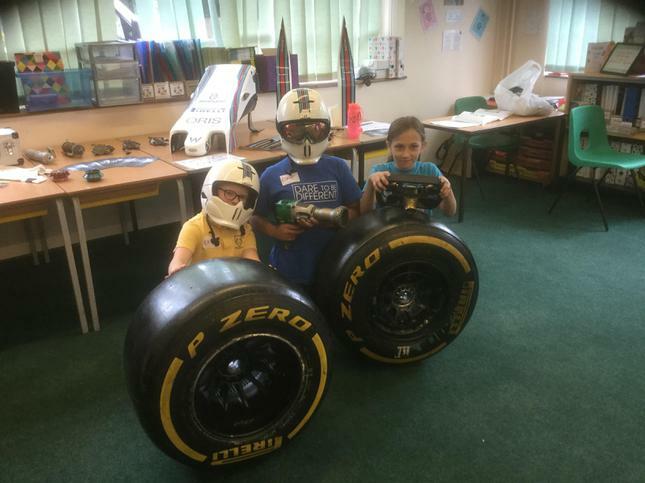 They told us about what they see and do whilst the races are on. 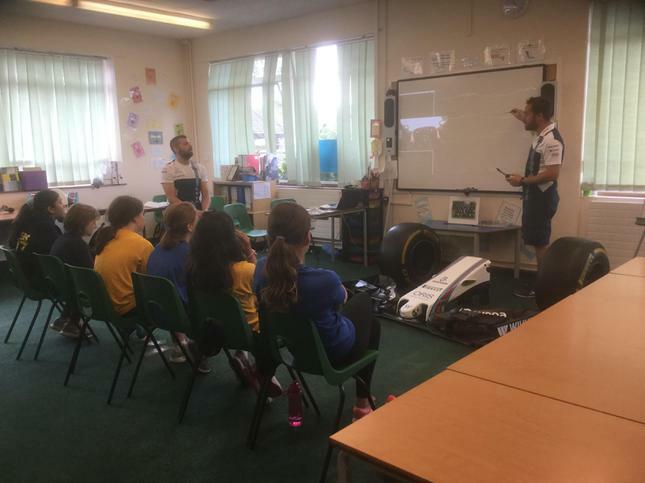 We looked at graphs showing the race data from the cars, so we could see what the drivers were doing. 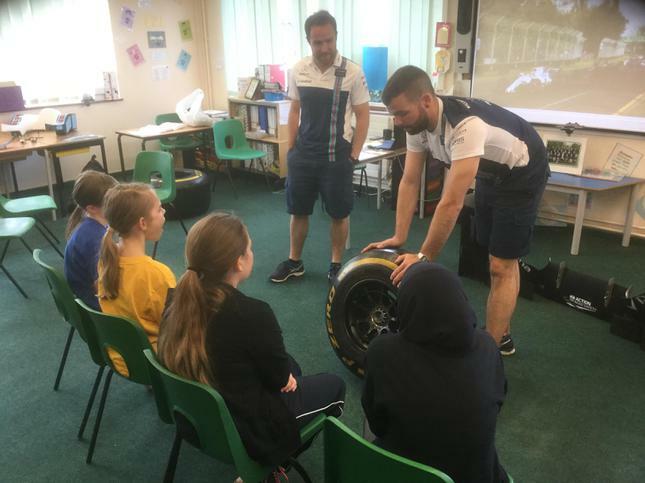 They also told us all about other things, like down force and why it's important. 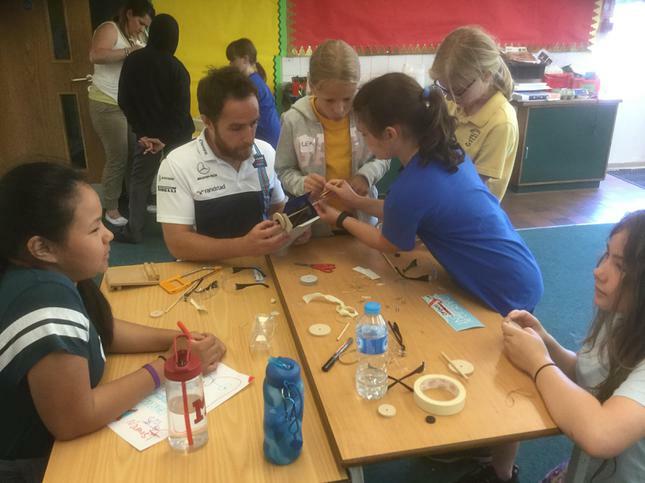 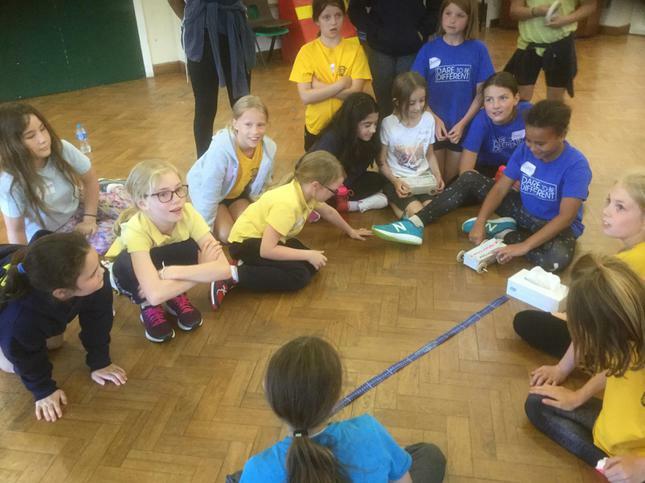 In the afternoon, they helped us design our own rubber band powered cars and gave us some tips to improve them. 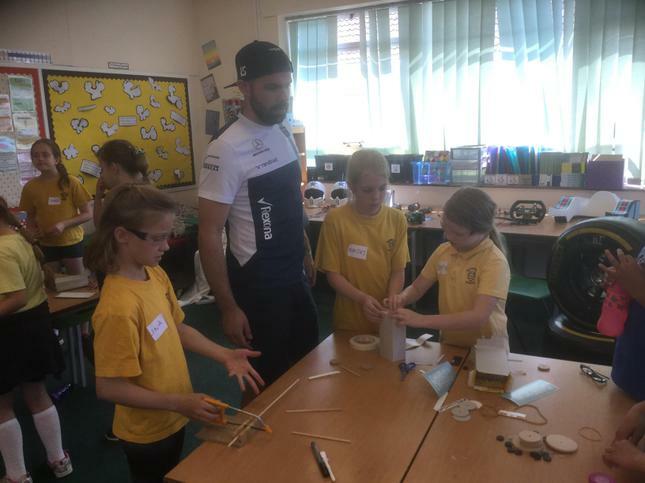 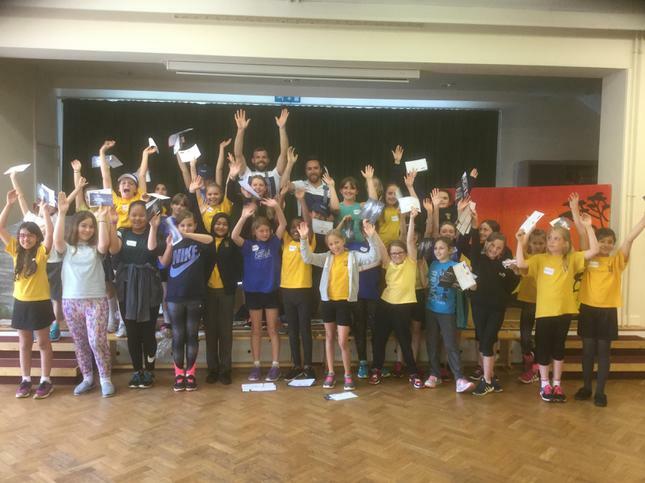 It was brilliant and we would like to say a big thank you to Williams for letting them come and spend the day with us!